With Product Lifecycle Management (PLM) a vast amount of data is collected to help evaluate performance. But project managers still lack useful analysis and forward-looking capabilities to predict and ensure project success. 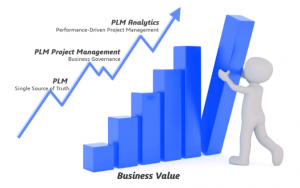 PLM and related analytics are essential enablers for the high-performing manufacturer. PLM allows companies to control, manage, and execute their business from product concept through design, manufacturing, and service. It keeps all product information in one place and provides transparency across the enterprise and the supply chain. PLM applications go beyond data management to streamline and ensure consistent product development processes to improve oversight, execution and productivity. PLM incorporating deliverables-based project management provides even greater value to companies by automatically capturing task status from engineers and other project team members in real-time as they do their work. Big data analytics allows companies to understand, participate, and develop insights to make better business decisions. Data analytics applied to PLM helps companies unlock knowledge from their PLM data to improve business performance. Analytics uncovers hidden data relationships and brings better visibility of issues to PLM stakeholders and C-Level executives. Thus, companies improve execution by discovering the root cause of issues for resolution. For example, analysis may show that the majority of customer complaints are related to products with parts from a specific supplier or piece of production equipment. In this way, analytics helps manufacturers identify, narrow down, and solve problems. 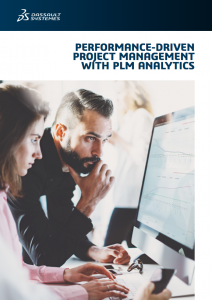 Leveraging deliverables-based project management and analytics with PLM unlocks new insights and expands the business value of a PLM investment.